October 29, 2013  Police in China are reportedly searching for two men from the country's far west region in connection with a car crash in Tiananmen Square that killed five people and injured 38 Monday. 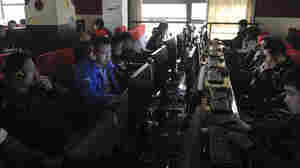 The incident has Chinese censors deleting online discussions relating to the crash. October 25, 2013  The sleuthing exploits of Judge Dee, a character based on a seventh-century Chinese official, are gripping new audiences as new generations of writers, movie directors and storytellers tell his tale and build on his legend. His stories continue to inform ordinary Chinese people's understanding of justice and law. October 22, 2013  China's central and local governments are releasing a slew of new regulations aimed at cutting severe air pollution and mitigating its deadly effect on citizens. The seriousness of the problem is obvious in China's northeast, where smog in one city this week cut visibility down to a few yards, and particulate matter soared to 60 times the level deemed safe by the World Health Organization. October 1, 2013  As people around the world live longer, many nations are having to find new ways to care for their aging populations. 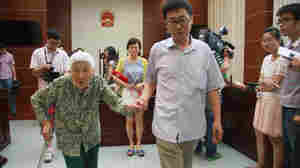 In China, a new law requires adult offspring to visit and look after their elderly parents. China's one-child policy complicates the issue further, and some dismiss the law as another attempt to legislate morality by a government that is riddled with corruption. September 21, 2013  A court found former top Chinese official Bo Xilai guilty of corruption after one of the highest-profile political trials of recent years. Media coverage of the earlier court hearings transfixed audiences with details of murder, a love triangle, and lavish official life styles. 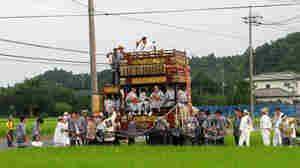 September 17, 2013  Each summer, the rice farmers of Narita, Japan, gather to pray for bountiful harvests with dancing, music and elaborate festival carts. This year, some farmers feel their way of life is under threat from a major trade agreement. September 16, 2013  South Korean managers are heading back to their factories at a complex located just north of the Demilitarized Zone. They're teaming up with North Korean workers to test-run idle assembly lines. 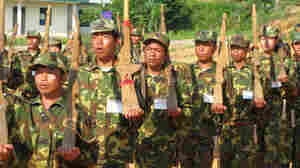 The complex has been closed for five months because of political tensions between the two countries. September 11, 2013  In a sign of China's growing importance as a market for Apple, the company will be rolling out its new iPhones simultaneously in the U.S. and China for the first time later this month. There are a few signs, however, that the new models will not find the sort of frenzied demand as before. September 3, 2013  Reports of judicial corruption and miscarriages of justice in China have attracted a lot of attention and criticism from ordinary Chinese. China's new leaders, worried this is eroding their credibility, have pledged to correct every botched court case that they find. One such case is putting the leadership's rhetoric to the test. August 23, 2013  Chinese politician Bo Xilai is in court for a second day — accused of corruption and involvement in an attempted cover-up of his wife's murder of a British businessman. The trial opened on Thursday, and Bo put up a fierce defense. But on the second day, it appears he has been silenced. 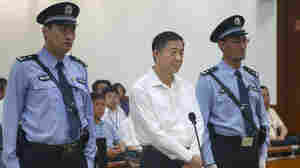 August 22, 2013  The former politician Bo Xilai offered a spirited defense in court in China on Thursday, surprising observers who had expected a quick show trial to end the country's biggest political scandal in decades. However Bo was allowed to cross-examine witnesses and tell judges he had been framed in the bribery charges against him. He said he had confessed to the charges under psychological pressure during interrogation. August 22, 2013  Disgraced Chinese politician Bo Xilai is on trial — accused of accepting bribes, corruption and abuse of power. Once a powerful Communist Party boss, Bo became the most senior leader to fall from power in years after revelations emerged that his wife had killed a British businessman.